Physical Therapy Liability Insurance: What is It? Physical Therapy liability insurance is designed to provide professional liability coverage in the case of a malpractice lawsuit. In other words, if a lawsuit is brought against you as a PT for any number of the reasons described below, having Physical Therapy professional liability insurance can provide you with protection to guard against claims that may otherwise jeopardize your career. The short story: You need to seriously consider liability insurance if you are a Physical Therapist. Why Do I Need Physical Therapy Liability Insurance? Unless you are independently wealthy enough to cover the potential court costs and indemnity claims, you should probably look into malpractice insurance. The average payout for an indemnity claim made against a PT was $99,122 according to an HSPO report. This type of malpractice claim could really hurt the average Physical Therapist both professionally and financially. But my employer provides malpractice insurance, do I need personal malpractice insurance as a Physical Therapist? That’s a good question to discuss with your lawyer, who will probably charge you a minimum of $150 an hour to discuss such legal questions. All I know is that I have personally signed up for liability insurance as a Physical Therapist for the last 2 years and I’ve paid roughly $185 a year. You might feel that it’s necessary to discuss the details of such an insurance policy with a financial professional or legal council in order to make sure you have the most appropriate coverage. But let’s be real… The cost of professional liability insurance for PTs is very, very reasonable compared to our physician friends who pay upwards of $10,000, $50,000 or more than $100,000 a year in malpractice insurance. 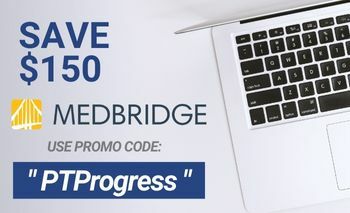 For me personally, the ability to have coverage for less than $200 a year is a no-brainer. What Does Physical Therapy Liability Insurance Cover? Occurrence Coverage: This policy protects you on claims made during the time in which you were insured, regardless of when the claim is made. Claims-made Coverage: This policy protects you for an instance that occurs during the time in which you were insured. However, your policy must still be active during the time in which the claim is made. 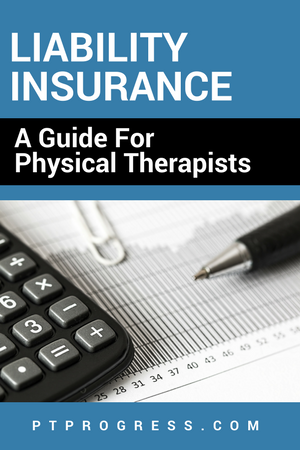 Let’s take a look at a sample offering for Physical Therapy professional liability insurance. Joe P. Therapist receives a certificate of insurance showing: $1,000,000/$3,000,000 for $185 a 12 month period. The first number is the amount of coverage per occurrence. The second number is the amount of total coverage. The annual premium he pays for this coverage is $185. The coverage for his Professional Liability policy includes protection in the following instances: “Good Samaritan liability”, “Malplacement liability”, and “personal injury liability”. In Joe’s policy,he is covered up to $1,000,000 per claim with a $3,000,000 aggregate for instances that fall into these categories. The policy Joe P. Therapist receives also includes protection amounts for other major categories areas, including: license protection, defendant expense benefit, deposition representation, assault, medial payments, first aid, damage to property or others, and Information (HIPAA) fines. Many of the categories provide a cap ranging from $10,000 to $25,000. The certificate of insurance serves as proof of payment and coverage. As long as Joe P. Therapist makes his premiums every year, he will be covered. (The biggest mistake made by PTs seeking liability insurance is to allow their coverage to lapse. Is Professional Liability Insurance Worth It? That’s a good question… I’ll ask it another way: Is it worth spending a couple hundred dollars (often times less than $200) a year for protection against: license suspension, probation, revocation of my license, or losing your Physical Therapy job altogether? Or maybe this question: Is it worth a couple hundred dollars to get protection that covers my professional actions for up to $1,000,000? Should a PT Student have Professional Liability Insurance? Most Physical Therapy programs will require or even provide liability insurance for students in order to protect them while they are on clinical rotations on campus or while at outside clinics. The premiums for students are typically very affordable, as low as $35 a year with some insurance providers. Lawsuits can certainly involve students, so having appropriate coverage and protection is a must for PT students. Should a Physical Therapy Clinic Have Separate Liability Insurance? It’s possible for a clinic to establish a separate policy that protects its staff for potential lawsuits made against the clinic or employee. Contacting a reputable company to provide a quote for your clinic is one way to compare the policy coverage and costs associated with this type of protection. Data was collected from January 1, 2010 through Dec 31, 2014 regarding the “closed claims” in this period. This subset of data is known as the “2015” dataset. The prior dataset was collected over a 10 year period (2001-2010) and is known as the “2011 dataset” The full report is available on the CNA/HPSO website. Only closed claims over $10,000 were reported in this dataset. Interestingly, 443 closed claims (over $10,000) were made in the five year span of the “2015 dataset” and 477 closed claims (over $10,000) were made in the 10 year span of the “2011 dataset.” It’s fair to say that physical therapy malpractice lawsuits may be on the rise as noted by the sharp increase in claims made in the latest 5 year dataset. According to the CNA/HPSO report, these are the top 9 categories and average paid indemnity for each type of claim. The average paid indemnity is listed to the right of each of the claims categories. Equipment related closed claims: $127,448. The APTA has partnered with HPSO since 1992, providing Physical Therapists with liability insurance options for professional protection. With over 79,000 active policies, this is by far one of the most widely used provider of Physical Therapy liability insurance. It’s possible to obtain liability insurance from any reputable insurance agent, however, you will want to make sure the coverage is appropriate and that you are not overpaying for coverage that may not be adequate. Like most insurance products, it’s good to compare policies. Don’t be afraid to request quotes from multiple insurance companies so you can compare the coverages and premiums. What advice do you have for PTs considering professional liability insurance coverage?